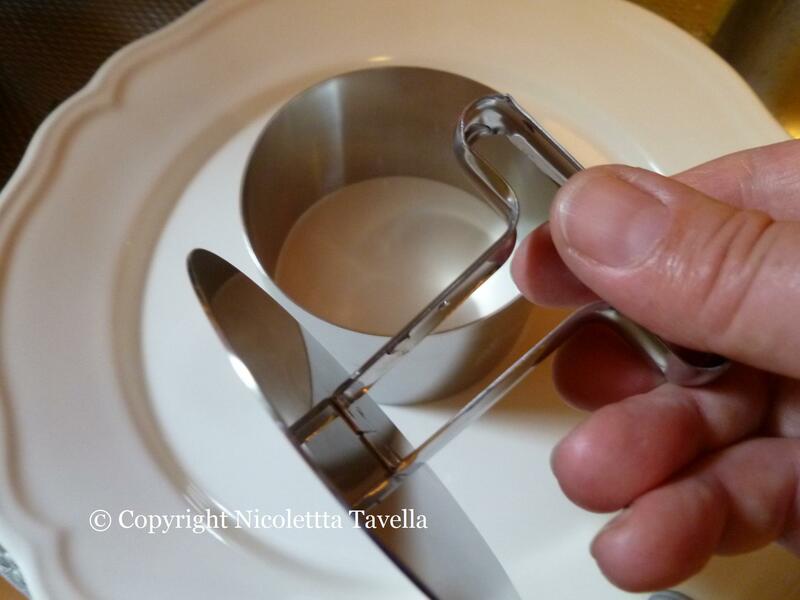 Culinary travel log: Rome, back to school, with recipe "anchovies in pistachio crust"
To me Rome is always one of the most beautiful, inspiring and interesting places to be, not only in general but also for her culinary appeal. I particularly love this city in spring and definitely during autum - my favourite season - when the streets smell of roasted chestnuts. As far as I'm concerned, the Roman cuisine rules: very basic dishes and yet original and intense tastes due to the use of simple ingredients and not-so-complicated recipes. That's why I take any chance I can to fly to Rome, even if it's for just a few days. And these wonderful, warm and sunny October days (here they call them "le ottobrate romane") are definitely perfect for a short visit to "caput mundi". 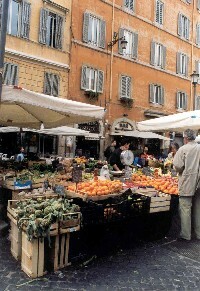 I'm staying at the apartment of a friend of mine, a beautiful Renaissance building with a view on the Campo de' Fiori, and in the morning I wake up with the busy noise of the market people preparing their stalls, loud and cheerful as only Romans can be. There's lots of vegetables, flowers and kitchen stuff for sale, and a couple of overprized, luxury stalls where only tourists and rich Romans buy their ingredients. In general, though, this still remains a cozy neighbourhood market even if it's right in the middle of touristic Rome. This is also one of the nicest characteristics of this great city: despite the hordes of visitors that invade her every day, Rome remains "property" of the Romans and keeps her popular character in most neighbourhoods. And this for me is the secret of her charme. 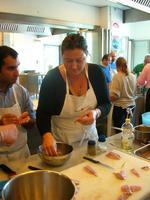 The theme of this course is fish in all its aspects. Let's face it: if I'm here, it's with a reason. My knowledge of fish is not my strongest asset. I can clean and fillet it but there's more to cooking fish than this. That's why the cooking teacher - moi - is back on the school bench in this wonderful place where I've already followed a course on meat last February. The teacher is chef Giulio Terrinoni, who after opening a fish restaurant four and a half months ago already received very positive critiques (according to a Roman food guide, Hostaria Acquolina is already "the best fish restaurant in Rome"). He tells us that very modestly and almost surprisedly during the second day of the course, right after hearing the news. Fish is a real passion for him. You can really tell he just loves what he's doing by observing the utterly respectful and careful way he handles what he uses. 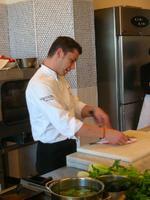 In his hands, even the simplest ingredients turn into spectacular and excellent dishes. 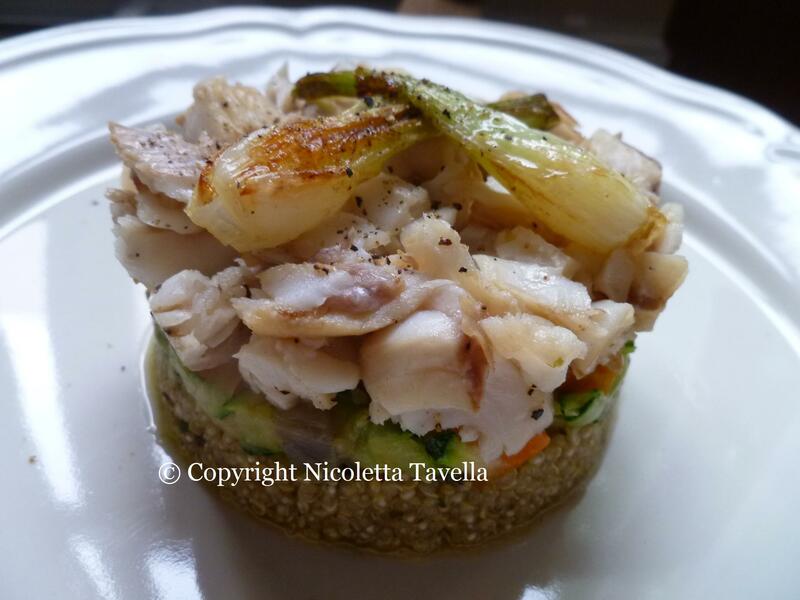 So today's recipe is logically one of chef Terrinoni's own creations. A heavenly one, as all the other dishes I've learnt to make during this course. For this dish you'll need a bunch of fresh anchovies. 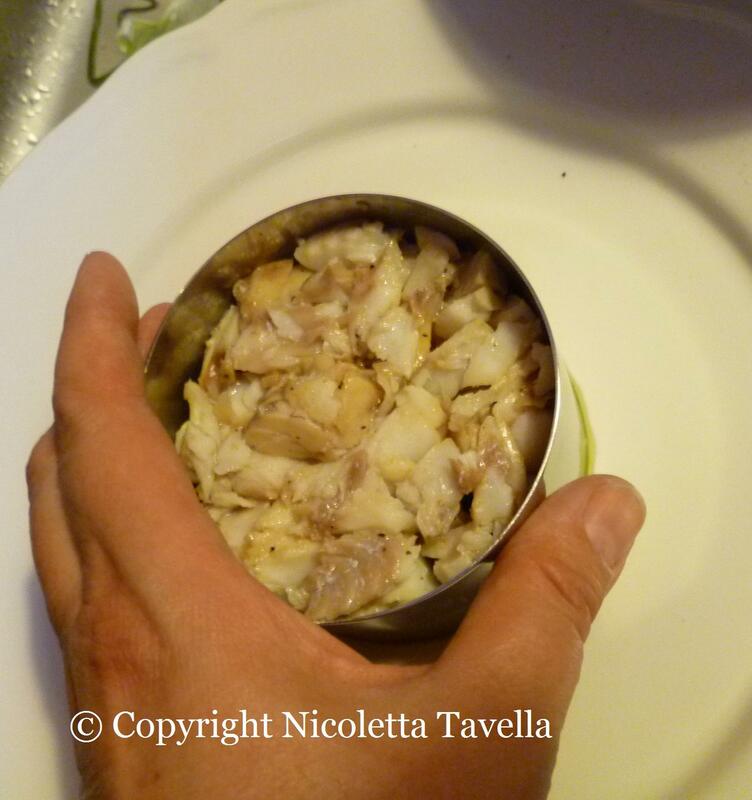 Buy some very small ones, not the thick anchovies that are wonderful grilled on the BBQ (these are actually sardines). Most of all, you shouldn't be afraid of the "dirty work": cleaning the fish. The first thing to do is to remove the head. While you're busy at it, gently push the belly open with a thumb: the guts will be easy to remove together with the head. 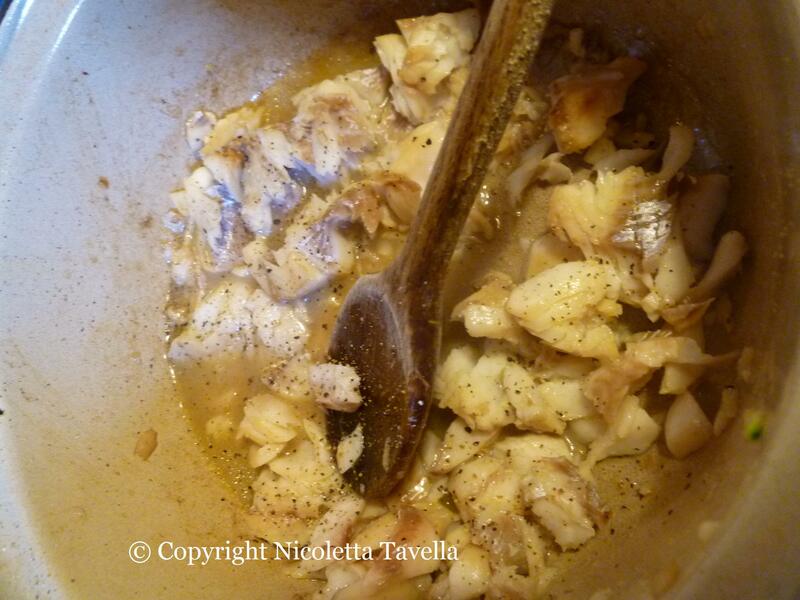 Open the anchovies flattening them and carefully remove their backbones but not the little tails. Wash the anchovies briefly under running water to make sure you don't loose too much taste in the process and pat them dry with some kitchen paper. 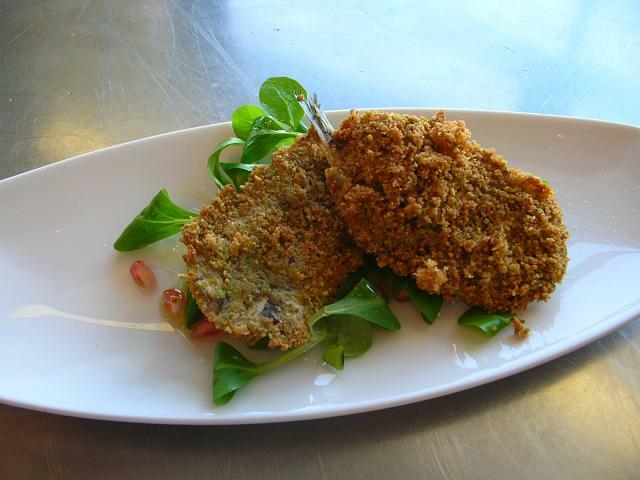 Now they're ready to be prepared as alici fritte in crosta di pistacchi (fried anchovies in pistachio crust). 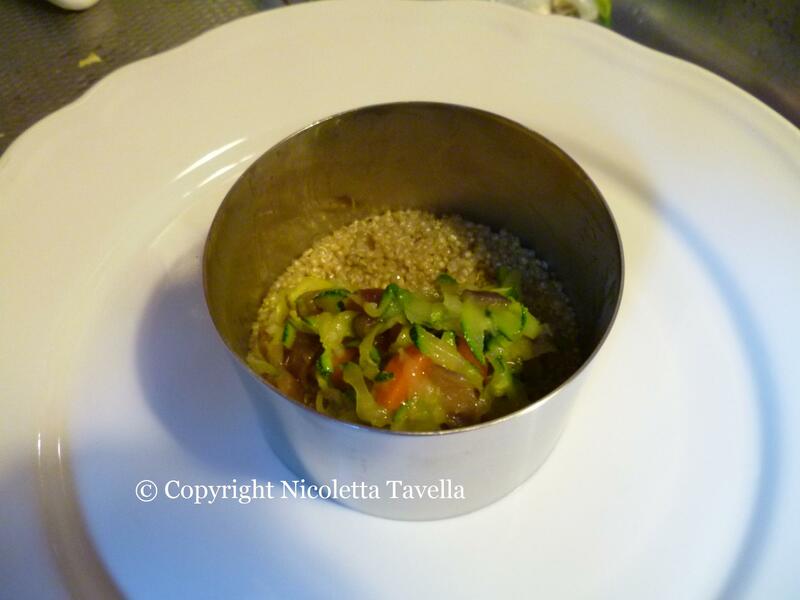 Oh yes, before I forget: I visited the "Acquolina" restaurant after the cooking course with a fellow student to see with my own eyes and taste with my own buds how chef Terrinoni works in his own kitchen. What shall I say? Everything was simply fantastic: the chef who treated us like princesses, the great sommelier - the wine list is HUGE! - the very professional service and of course the food! Via Antonio Serra (mind you, there's another Via Serra in the Trastevere neighbourhood!) is not really in the centre of Rome but this restaurant is definitely worth the 20 euro taxi (total price from the center and back, taxis in Rome are quite cheap). 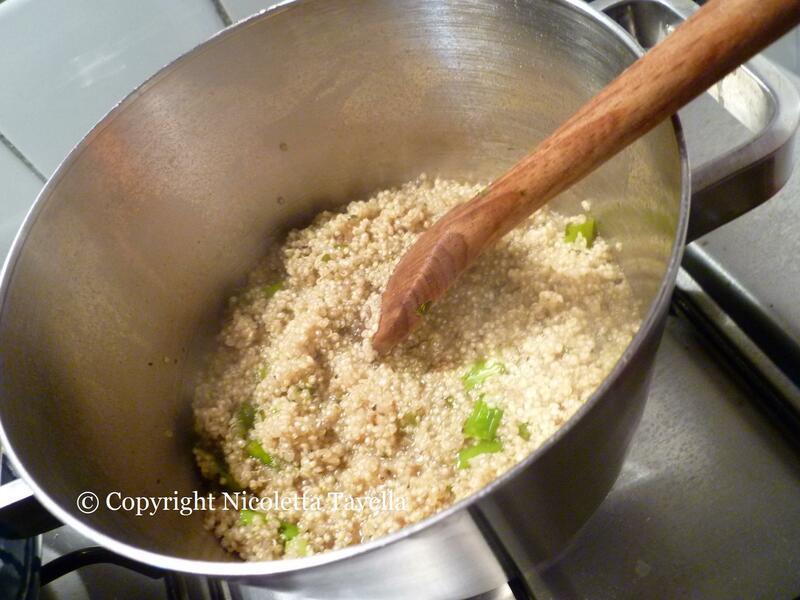 UPDATE: March 24, 2010: after almost four years this recipe has become one of my "classics" and I teach it during my own cooking classes in Amsterdam. Every time with enthusiastic reactions! Clean the anchovies as explained above. 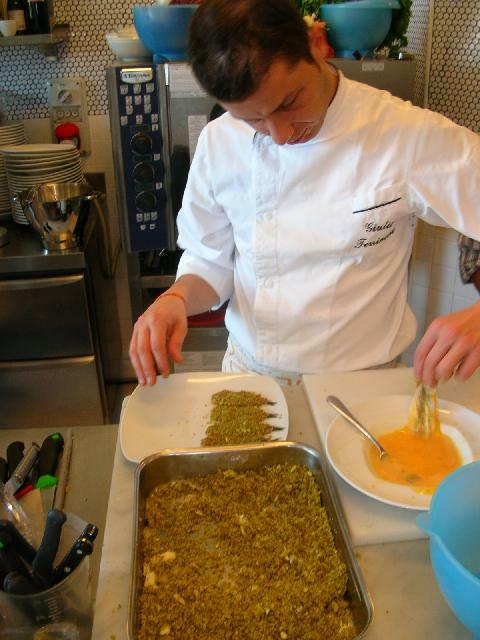 Crumble the bread slices (without crust) and the pistachio nuts a bit coarsley with the kitchen robot and mix well. Beat the eggs with a bit of salt and pepper. 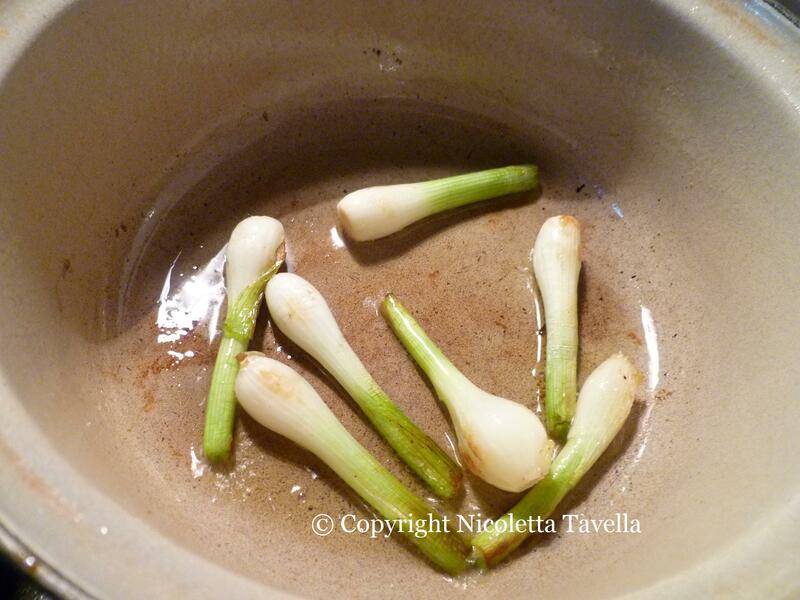 Dust the anchovies with a bit of flour and dip them in the beaten eggs. 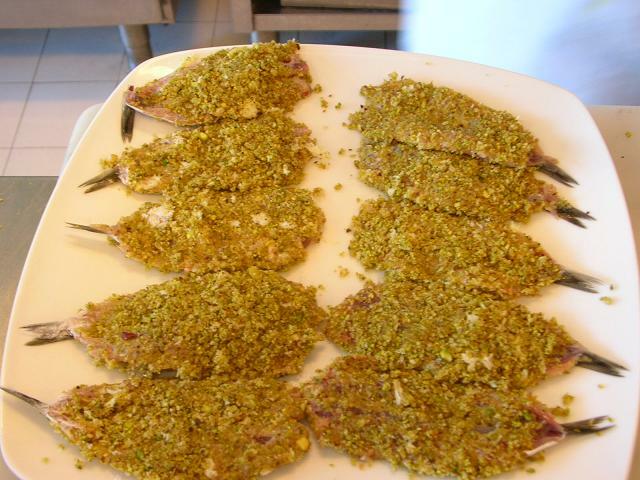 Lay them on the bread mix and press them gently so that the bread and pistachio crumbs stick to both sides of the fish. Deep-fry the anchovies in hot oil until golden brown and crunchy, lay them on some kitchen paper to remove the excess fat, season with a bit of sea salt and serve on a bed of salad leaves, pomegranate grains and a dressing made with olive oil, salt and a balsamic vinegar reduction. Wonderful as a starter.